As one of the largest volunteer service organizations in Alabama, the JLB has nearly 1,000 active volunteers who contribute more than 55,000 hours of service annually. Its purpose is to improve the lives in our community by working with community agencies to deliver services and assistance to those in need. To ensure consistency and a concentrated level of service, JLB community placements focus on four areas (Education, Financial Stability, Health, Safety and Crisis Intervention) and address one or more of the critical issues identified within each of these Impact Areas. The JLB strives, through issue-based voluntarism, to build better partnerships between the agencies it serves, better train JLB members to become experts on the critical issues and provide more meaningful experiences for JLB volunteers. The JLB’s goal is to eradicate pressing issues within the community, create advocates and community trustees (trained League members) who are passionate about issues, and make a positive impact on the community through systemic change. All volunteers are required to complete an intensive Provisional course and thereafter choose from a wide range of community projects each year. Through these projects, volunteers acquire the skills, knowledge and empowerment to effectively serve the community. Community projects are staffed with JLB volunteers who work in partnership with nonprofit, public and community-based organizations. 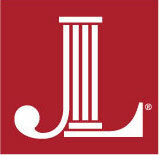 Click on the links below to find out more about the Junior League of Birmingham.